rapidly replaced a large array of divergent legacy fonts in standard scholarly work. field. Corrections and additions welcome to the address on our main page. remain in the Greek Block and are not duplicated in the Coptic Block. Coptic letters of the Greek block before, instead of after, the letters in the Coptic block. 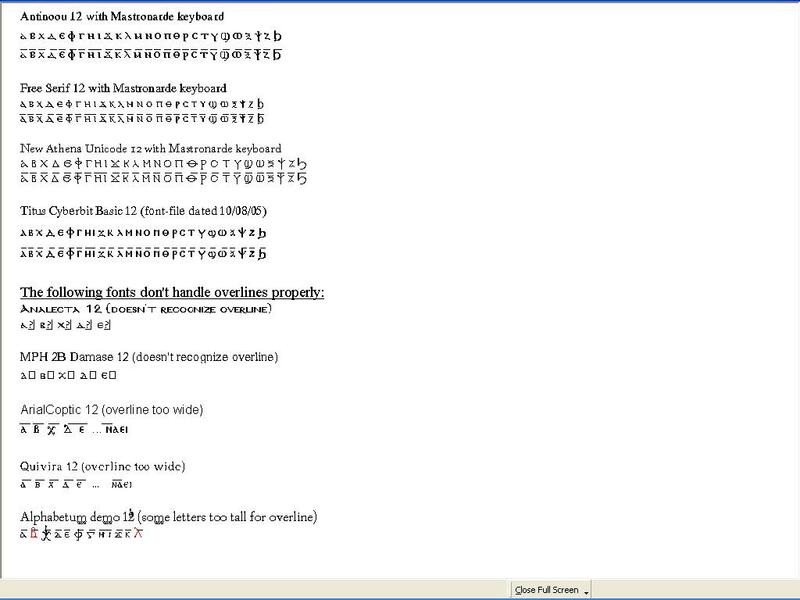 of the shifted-alpha keys for the extra Coptic letters, and the rest for other purposes. Make your own keyboard or modify one of the above! and Everson's Keyman file can be downloaded from Everson's Antinoou site. "Installing a Keyman Coptic keyboard layout on Windows XP". Rev 8 May 2016: rearranged content, added "other keyboards"